The disappearing moderate Republican in Penn. Host Monica Malpass and our Insiders tackle a ton of topics including the reason PA moderate Republicans are retiring, President Donald Trump's visit to Harrisburg and his tax proposal, U.S. Rep. Perry's (R-PA) comments and the local Hurricane relief efforts for Puerto Rico, the 1st Amendment/Freedom of the press, plus the Department of Justice giving Philadelphia two weeks to revoke their sanctuary city status or face federal funding cuts. Watch Inside Story, Sundays at 11:30 on 6abc. 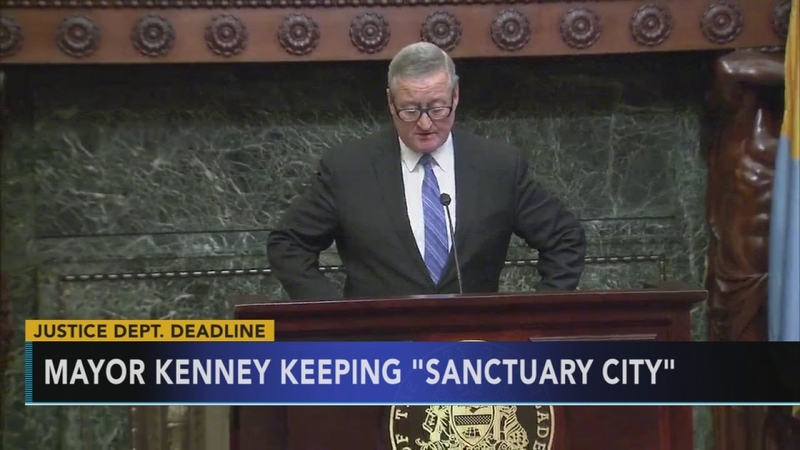 Mayor Jim Kenney is not budging from his position that Philadelphia will remain a sanctuary city, despite warnings from the Department of Justice. Dept. of Justice to cut funding to Philly due to Sanctuary City status.